Back in 2016, we got our hands on a series of Aliens 3.75″ Scale Figures by Hiya Toys. While they looked awesome, they had some quality control issues. 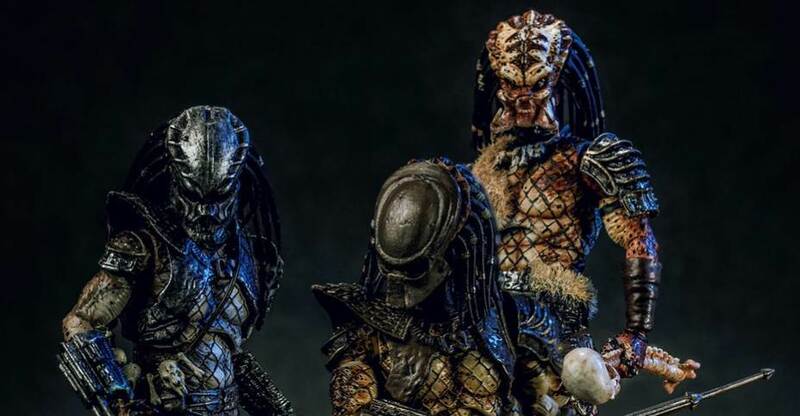 When they announced their next license, the iconic Predator franchise, it piqued the interest of a lot of fans, looking to add high quality figures of The Predator franchise in this scale. 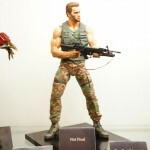 The first assortment of Predator figures are now hitting stores and fans are beginning to dig into the releases. 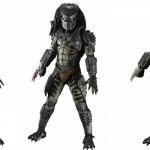 The first three figures in the line are the City Hunter Predator, the Guardian Predator and the Shadow Predator, all from Predator 2. 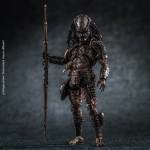 These figure stand 4.5″ tall and come packed with numerous accessories, including interchangeable hands, skulls, spears and figure stands. 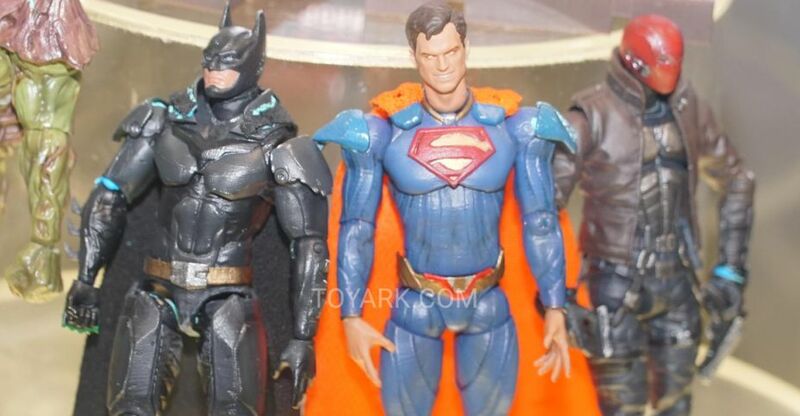 Hiya Toys was kind enough to send the figures along. 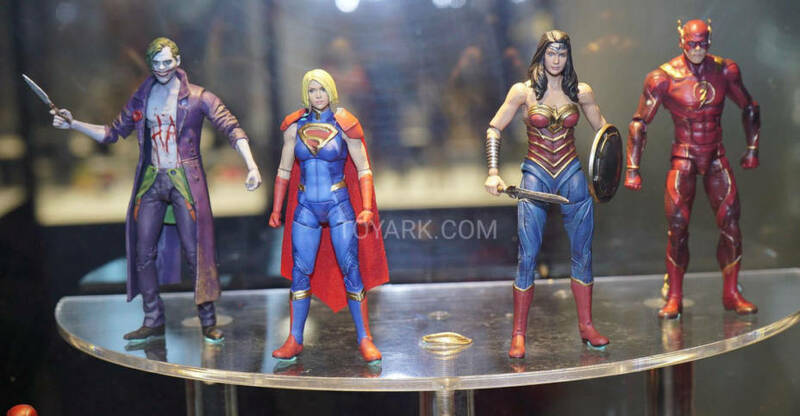 Read on to see our photo gallery and my review of the figures. 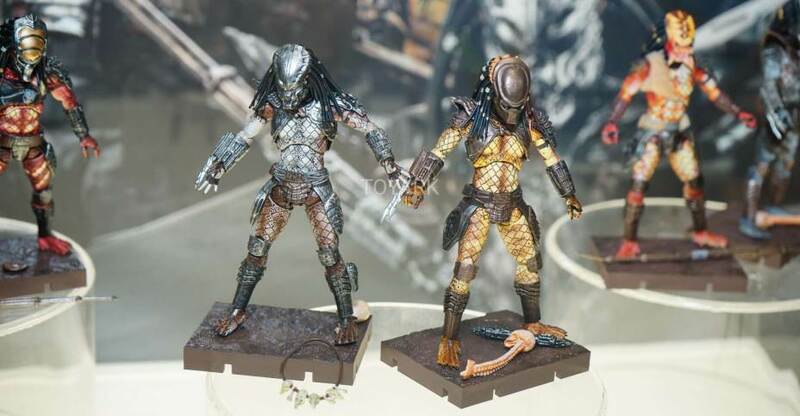 This is our first look at the fully painted Shadow Predator (aka Snake Predator), who is from Predator 2. We will continue to share new photos and details as they become available. Click the banner image for the full size photo. 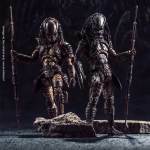 NECA has posted images for their upcoming 1/4 Scale Guardian Predator and Unmasked City Hunter Predator. 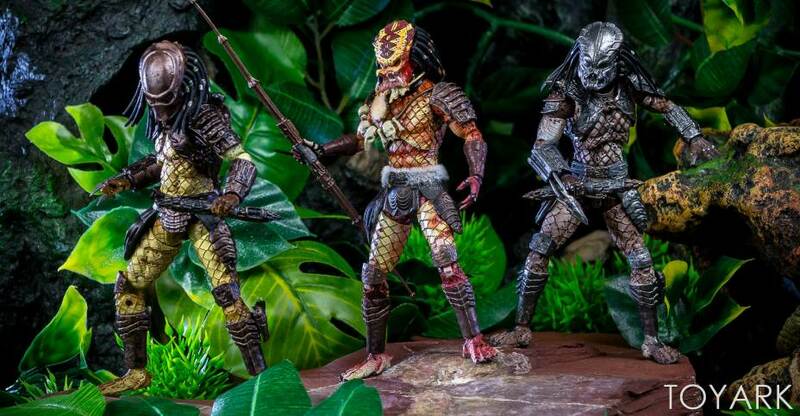 These are part of the 1/4 Scale Predators Series 2 coming to stores January.